The US "hopes to reach agreement for another aircraft carrier visit to Vietnam" in 2019, according to Reuters earlier this month. 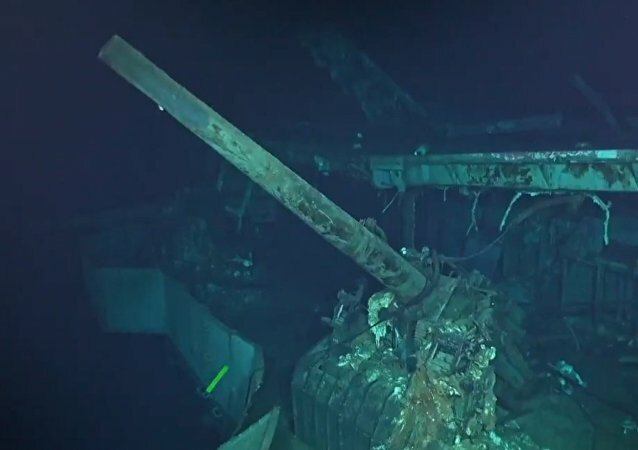 The aircraft carrier was destroyed by a Japanese submarine in 1942 during an attack on the Solomon Islands. The US president has added another item to the list of his pet-peeves that he continues to lambast on his Twitter account. In addition to slamming failing media aka “enemies of the people”, fake news producers, presidential harassment and witch hunt, he gave way to his rage against machines that are too difficult to control. 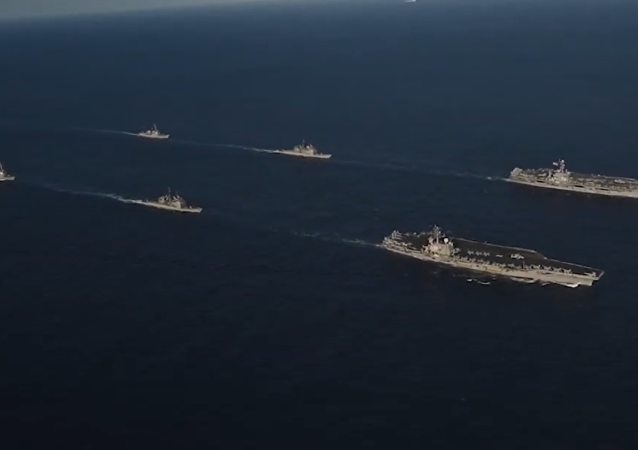 The USS George HW Bush will be off the high seas for the next two years and four months, according to local media in the US state of Virginia. The UK Royal Navy’s newest aircraft carrier will go on its first mission this year through the disputed South China Sea, carrying US F-35 aircraft, the British Defence Secretary said this week. The aircraft carrier "Hornet" was sunk at the end of October 1942 as a result of a strike by Japanese bombers. Of the 2,200 crew members on board, 140 perished that day. The US Navy announced Friday it had awarded a $34.4 million contract to General Dynamics to overhaul the USS Carl Vinson so it can carry the Navy’s first squadron of F-35C Joint Strike Fighters, which are due to enter full operations later this month. 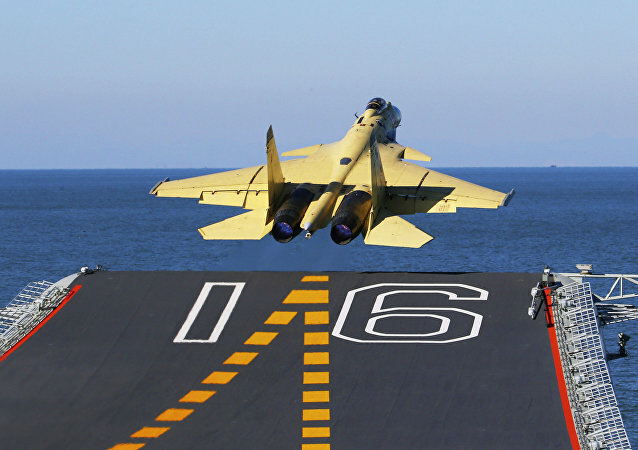 The Chinese navy is weighing whether to retrofit its Liaoning aircraft carrier, replacing the ship's distinctive ski-jump bow and giving it new electromagnetic catapults, though Chinese experts say the undertaking may be too expensive. After months of debate, the US Navy signed a contract for two more of the over-budget, underperforming Ford-class aircraft carriers on Thursday. Navy Secretary Richard Spencer swears the carriers will eventually save the service billions. 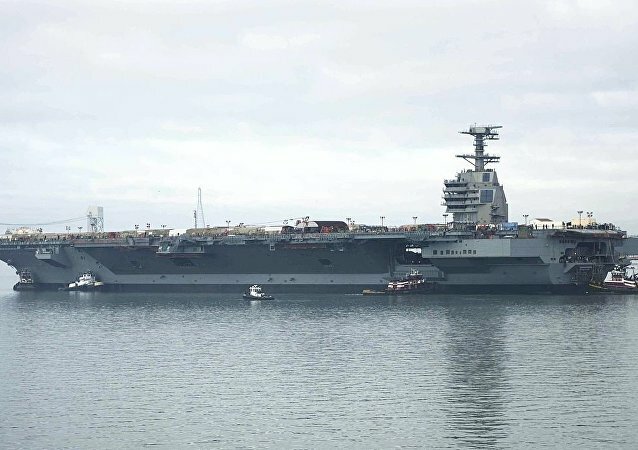 An internal Pentagon report questioned the aircraft carrier USS Gerald Ford’s ability to quickly generate aircraft sorties, as data has surfaced suggesting there are reliability questions about some of the ship’s key naval aviation systems. 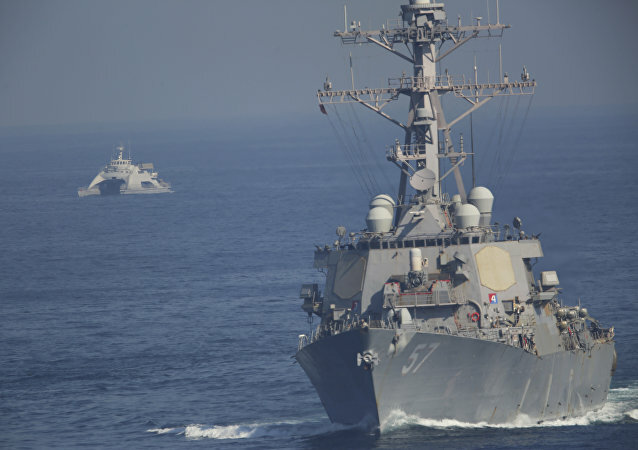 In late October 2018, the Pentagon sent two US Navy vessels through the Taiwan Strait, in the second such operation that year. Beijing voiced serious concern about the move, while Taiwanese officials claimed that the island's defence ministry was in full control of the situation and "has the ability to maintain the security of the seas". Tensions between Washington and Beijing have escalated in recent months amid a growing number of US Navy "freedom of navigation" missions in the South China Sea and Chinese efforts to beef up its military presence in territories over which several Asian powers have overlapping claims. 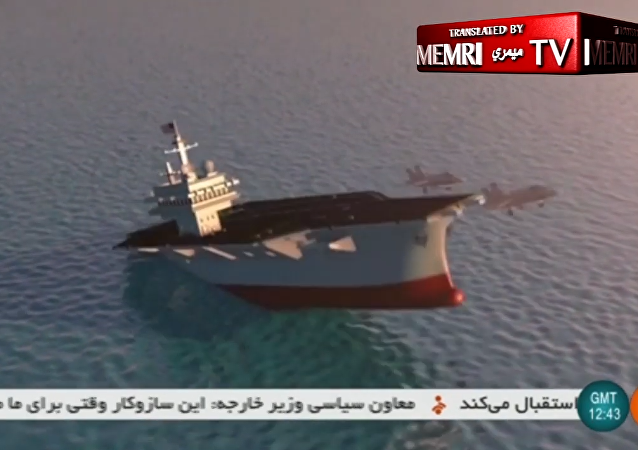 Iran’s Deputy Chief of the Army for Coordination Rear Admiral Habibollah Sayyari said that Iran will never allow US warships to approach its territorial waters, noting that the Islamic Republic is ready to respond to any action by Washington. Aboard a landmark US aircraft carrier, having historically flown over areas of Virginia and the Atlantic Ocean in a V-22 Osprey, FLOTUS depicted the way she communicates behind the scenes with her husband and what she advises him on current events, although she admitted this can yield different results. Earlier, the Pentagon announced that the US and its allies in eastern Syria would train an additional 35,000 to 40,000 local militia to "provide stability" in the region following the defeat of Daesh (ISIS)* terrorists.